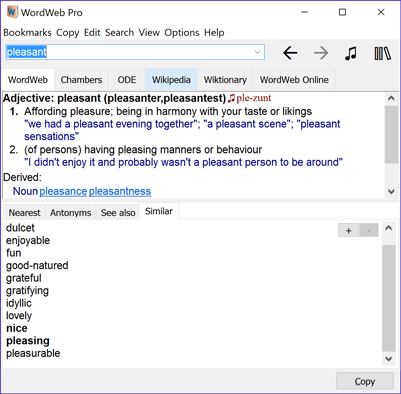 WordWeb Pro is an optional English dictionary, thesaurus and word finder that integrates smoothly with Crossword Compiler. Use it to look up words in the grid and from the clue editor to help write clues. A word list is also provided for word finding and grid filling. 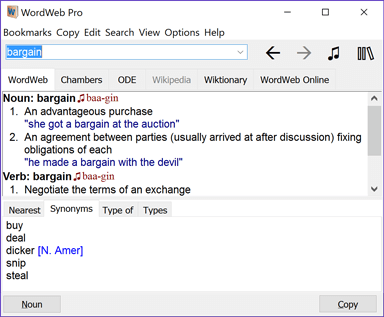 WordWeb Pro can also be used to look up words in any other Windows program: just Ctrl+Right Click on a word in any program. It is also available as a separate program. The dictionary has over 165 000 root words and 130 000 synonym sets, including many proper nouns, collocations and phrases. Unlike any paper dictionary or thesaurus WordWeb is truly a Word Web - each set of synonyms is linked to other related sets. Lookup "tree", click on the "Types" tab and you'll have a list of different types of tree. Click on "Part of" and WordWeb will tell you that a tree can be part of a "forest" or "wood". 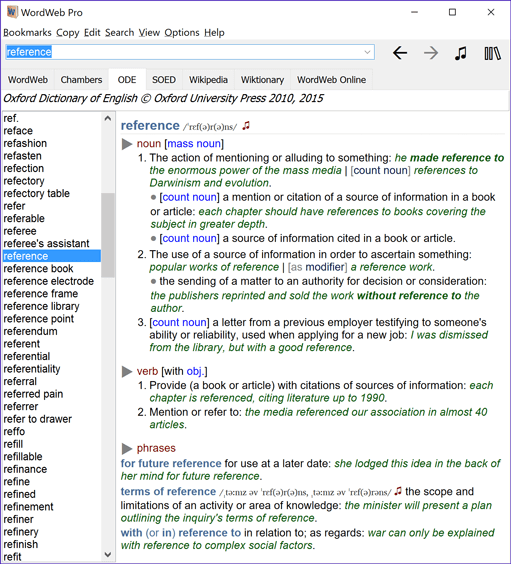 Various optional extra dictionaries are available, including Oxford and Chambers dictionaries, which can be used in separate tabs. If you are online you can also quickly check web references, for example Wikipedia or your other favorite site. 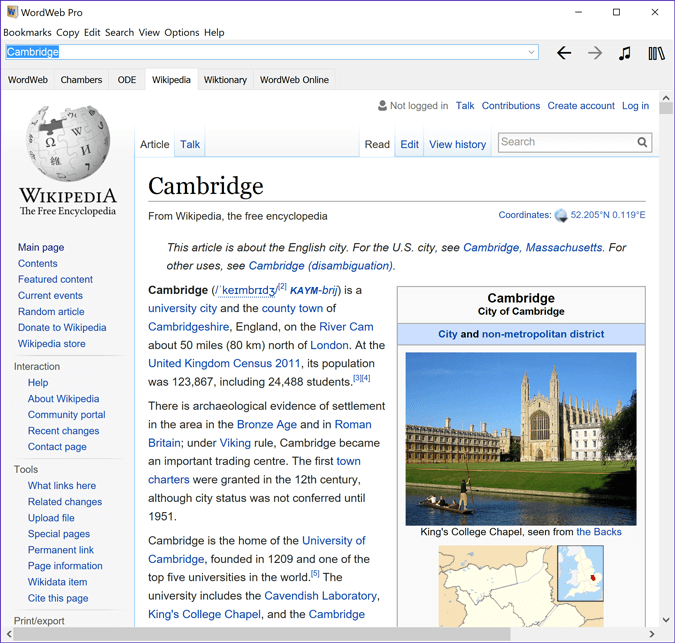 The web references are displayed in tabs near the top of the window: just click a tab to look up the word online and see the result right inside the WordWeb window. A word list of over 290 000 words, compounds and derived forms from WordWeb is included. Use it for searching for words and with Crossword Compiler. Optional extra dictionaries also come with word lists that can be used with Crossword Compiler. Other features include full-text definition search, custom glossaries, edit and add to the database, word pattern and anagram search.